Your bridal makeover team needs to be expert so you get the look that you want. Not only that but you need a hairstylist who can bring out your own personal style so you want to get it right! 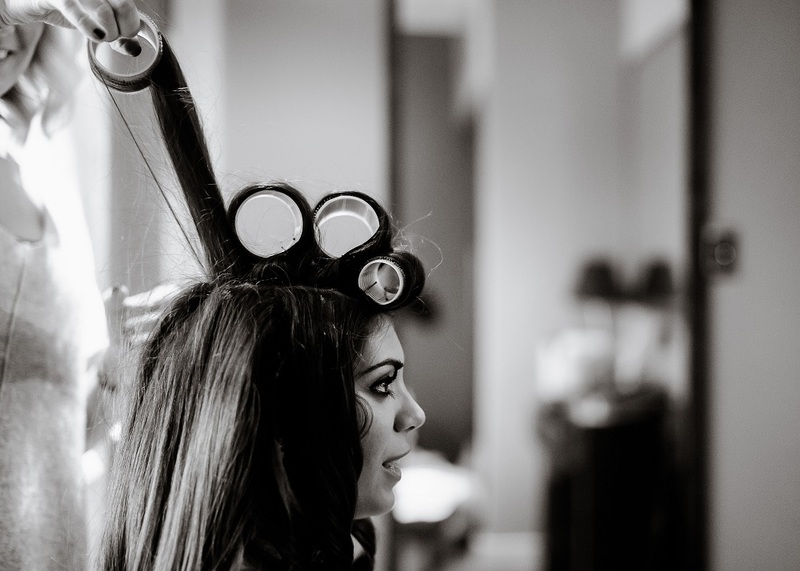 Here is a quick guide on how to find the perfect bridal hairstylist for you. It all starts with what you really envision for yourself on your wedding day. Big blousy curls with lots of extension work is different to a bohemian plaited updo. You’ll be searching for different skill sets depending on what style you choose. So look on Pinterest, delve into magazines and search the wedding blogs for the right style for you. Perhaps make a little moodboard that you can show potential hairstylists. Many salon hairdressers freelance and/or have experience styling for big events. Your own hairdresser will know the texture of your hair, its thickness, how it behaves with certain products and can therefore best advise you on how to achieve the look you want. As you already know them, you may also get a discount and a free trial! If you trust your hairdresser it’s worth asking! So you’re wanting a bridal hair expert instead of your normal hairdresser? Great! Start by researching your local hairstylists via the Internet and recommendations from friends. Once you’ve found a few, look at their online portfolios critically. This is the operative word. A style may look impressive but look closer. Can you see any clips sticking out? Are veils attached seamlessly? Do extensions appear natural? Have they worked with your hair type before? Are there plenty of examples of your chosen style done right? Really dissect what you see so you can get a feel for the stylist’s work. Once you’ve found a stylist you’re happy with, book a trial with them to try out your chosen style. Even if it’s your own hairdresser that you are familiar with, still have a trial with them to make sure you’re 100% confident in them. Be as clear as possible about what you want and take your moodboard for reference. Remember you’re not just looking for good quality work but also take note of the stylist’s demeanor and professionalism. Do you feel comfortable with them? You’ll be with them first thing on your wedding day so it’s worth choosing someone you can relax with! Follow these steps and you’re guaranteed to find a winner! Let us know what hairstyles you like on Facebook and twitter!